As parents, there is no way you have never feared about peer violence or bullying to happen to your children. 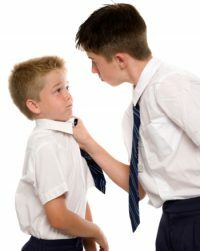 Bullying, the undesired aggressive behaviour in school aged children about power imbalance among them, is one of the most fears of children and parents right now. It has such fearsome effects to children that some even drop out of school, while others commit dreadful things because of bullying. On that note, you as parents would of course want to protect your children. But you cannot be at their side 24 hours 7 days a week and protect them. However, there is way in which your children can be protected from bullying and that is by means of martial arts training. Enrolling your children to a kid’s martial arts school, like Shobukan Martial Arts in Perth, is one of the smartest actions you can take in preventing your kids from being bullied or being the bully. How can that be? It is simply because martial arts training provide your kids with benefits including increased self-confidence, self-restraint, discipline, respect, leadership, socialization, self-defence and more. Martial arts training are actually designed to foster non-violent resolution of conflicts, contrary to what it might look. It helps both the kid being bullied learning about being confident in their own capabilities and the bully in seeing that violence and assertion of power is not the answer to everything. With proper training and guidance from our Government Accredited instructors, your kids will be able to learn how to protect themselves from bullying. Aside from the self-defence aspect of martial arts, it can also prevent bullying by means of verbal assertiveness that deters bullies. .
Self confidence developed through martial arts training is useful not only for the bullied but to the bullies as well. Of course, it is not about teaching moves so they can bully your kids, but about instilling self-confidence, restraint and discipline on them. Bullies enjoy status and prestige born from fears. But through martial arts, they can build confidence in other aspects so they won’t resort to bullying to get attention or approval. On the other hand, for children who are victims of bullying martial arts training is way that can prevent them from being easy targets. They are often victims of bullying because they always seem weak, easily scared and unsure of themselves. Training with Perth martial arts in Shobukan Martial Arts School can help build their confidence. With a proper training in a martial arts school such that in Perth, your kid will be able to project an aura depicting strength this enables them to not be perceived as weak. That being the case, if you want your child to be bully proof it is best to enrol them into a competent martial arts school in Perth. At Shobukan Martial Arts we can help your child learn how to protect themselves from bullying.